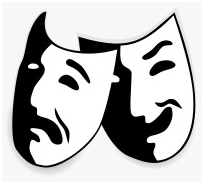 The term “drama” comes from a Greek word meaning “action”,which is derived from “I do”. In English , the word “play” or “game” was the standard term used to describe drama until William Shakespeare’s time—just as its creator was a “play-maker” rather than a “dramatist” and the building was a “play-house” rather than a “theatre”.”Drama” in this sense refers to a play that is neither a comedy nor a tragedy. The enactment of drama in theatre, performed by actors on a stage before an audience, presupposes collaborative modes of production and a collective form of reception. The structure of dramatic texts, unlike other forms of literature, is directly influenced by this collaborative production and collective reception.The early modern tragedy Hamlet (1601) by Shakespeare and the classical Athenian tragedy Oedipus Rex (c. 429 BC) by Sophocles are among the masterpieces of the art of drama.A modern example is “Long Day’s Journey into Night” by Eugene O’Neill (1956). Drama is often combined with music and dance: the drama in opera is generally sung throughout; musicals generally include both spoken dialogue and songs; and some forms of drama have incidental music or musical accompaniment underscoring the dialogue. Closet drama describes a form that is intended to be read, rather than performed.In improvisation, the drama does not pre-exist the moment of performance; performers devise a dramatic script spontaneously before an audience. 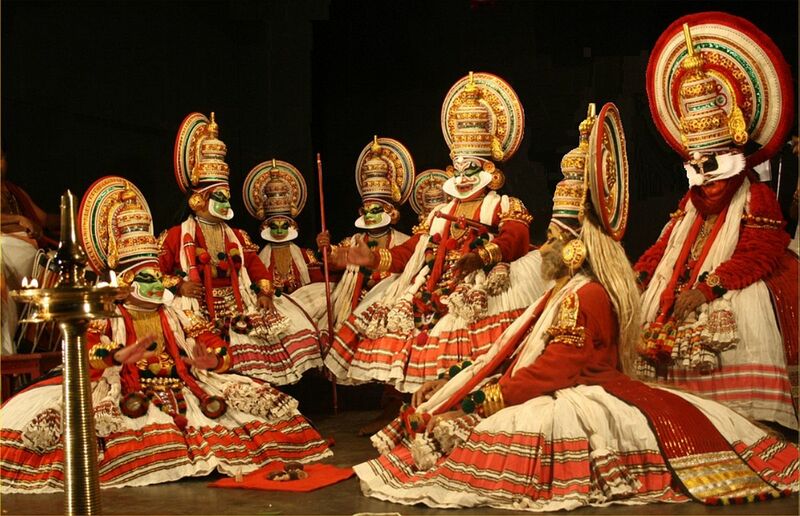 The earliest form of Indian drama was the Sanskrit drama.Between the 1st century AD and the 10th was a period of relative peace in the history of India during which hundreds of modern plays were written. With the Islamic conquests that began in the 10th and 11th centuries, theatre was discouraged or forbidden entirely.Later, in an attempt to re-assert indigenous values and ideas, village theatre was encouraged across the subcontinent, developing in a large number of regional languages from the 15th to the 19th centuries. 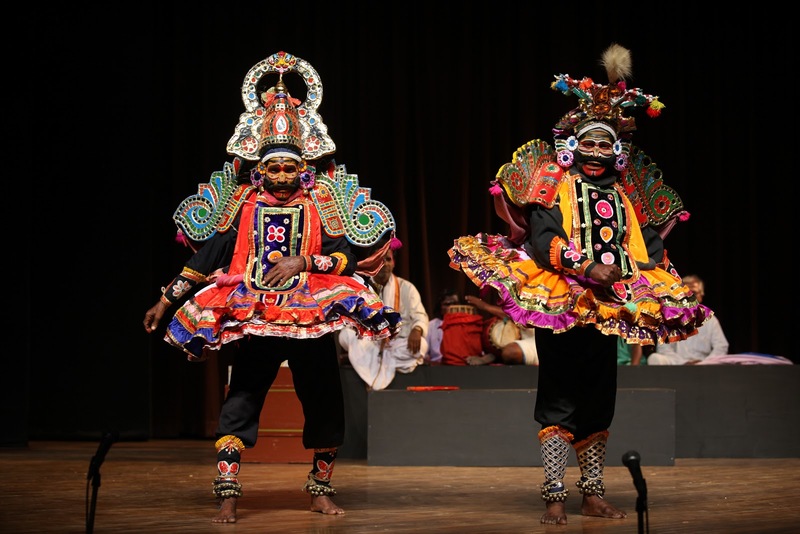 Modern Indian theatre developed during the period of colonial rule under the British Empire, from the mid-19th century until the mid-20th. Girish Karnad is a noted playwright, who has written a number of plays that use history and mythology, to critique and problematize ideas and ideals that are of contemporary relevance. Karnad’s numerous plays such as Tughlaq, Hayavadana, Taledanda, and Naga-Mandala are significant contributions to Indian drama. Vijay Tendulkar and Mahesh Dattani are amongst the major Indian playwrights of the 20th century. Mohan Rakesh in Hindi and Danish Iqbal in Urdu are considered architects of new age Drama. Mohan Rakesh’s Aadhe Adhoore and Danish Iqbal’s ‘Dara Shikoh’ are considered modern classics.